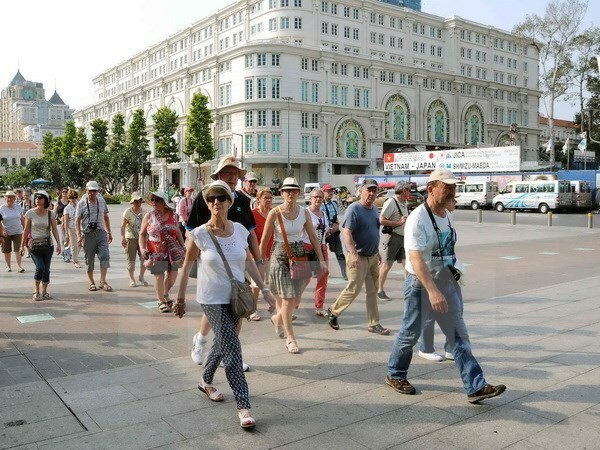 Hanoi (VNA) – The Vietnam National Administration of Tourism (VNAT) will organise a programme to promote Vietnam’s tourism in China from August 18-23, an activity that has been designed in the 2017 national tourism promotion programme. The programme will come to Xiamen city in Fujian province, Baotou city in the Inner Mongolia Autonomous Region, and Nanchang city in Jiangxi province, expecting to draw the participation of about 300-350 local travel companies. China remains Vietnam’s leading tourism market. Vietnam welcomed 2.6 million Chinese holiday-makers in 2016, up 51.4 percent against the previous year. In the first seven months of this year, the number stood at 2.2 million, representing a year-on-year rise of 51 percent. The VNAT has defined China, Laos and Cambodia, which share border lines with Vietnam, the ASEAN member countries, the Republic of Korea (RoK), Japan, Chinese Taiwan, Russia, Australia, New Zealand and several Western European nations as promising markets for Vietnam’s tourism. Therefore, the agency is scheduled to carry out similar tourism promotion programmes in these markets in August and September 2017. Besides, it will also participate in major international tourism fairs like the JATA Tourism Expo in Tokyo, Japan, from September 21-24, the Top Resa Tourism Trade Fair in Paris from September 26-29, the International Travel Fair in Taiwan from October 27-30 and the World Travel Market in London from November 6-10. At the same time, the VNAT has promoted tourism through websites at vietnamtourism.gov.vn, vietnamtourism.com and vietnamtourism.vn, as well as social networks. Vietnam earned some 306.7 trillion VND (13.5 billion USD) from tourism services, up 25.7 percent from the same period in 2016.